In 2019 the Group celebrates the fiftieth anniversary of its foundation. A conference at the City Assembly House, 58 South William Street, Dublin was held on 29-31 March. The programme is availavble here. 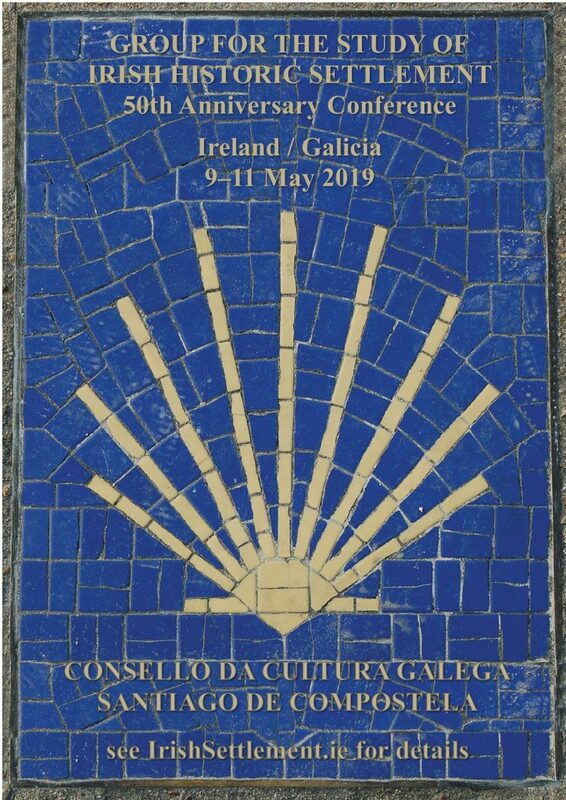 Between 9 and 11 May 2019, the Group will go be in Santiago de Compostela, Galicia for our annual conference. See here conference details. Registration is now closed. Welcome to the website of the Group for the Study of Irish Historic Settlement. 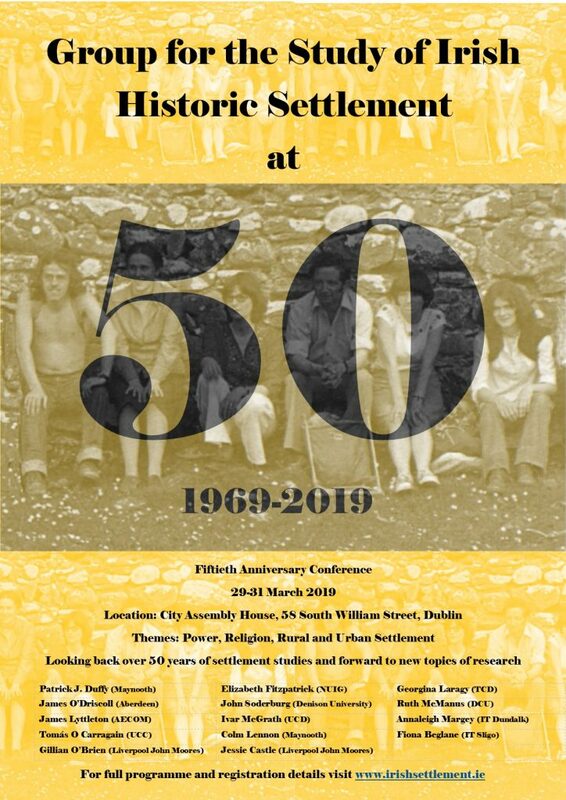 Founded in 1969, the Group aims to examine the nature and development of Irish settlement, whether from the perspective of the historical geographer, archaeologist, architect or historian. The strength of the Group lies in the way it brings together scholars from various disciplines with those who have a special local knowledge of particular places. Our aim is to serve as an interdisciplinary forum whereby Irish settlement can be studied through discussion and research. The Group does this through its annual conference and field trips, its thematic conferences, its books and other publications, and through these webpages. We welcome the active participation of all who are interested in any aspect of Irish settlement history. The Group is a charity registered with the Irish Revenue Commissioners. CHY18631.